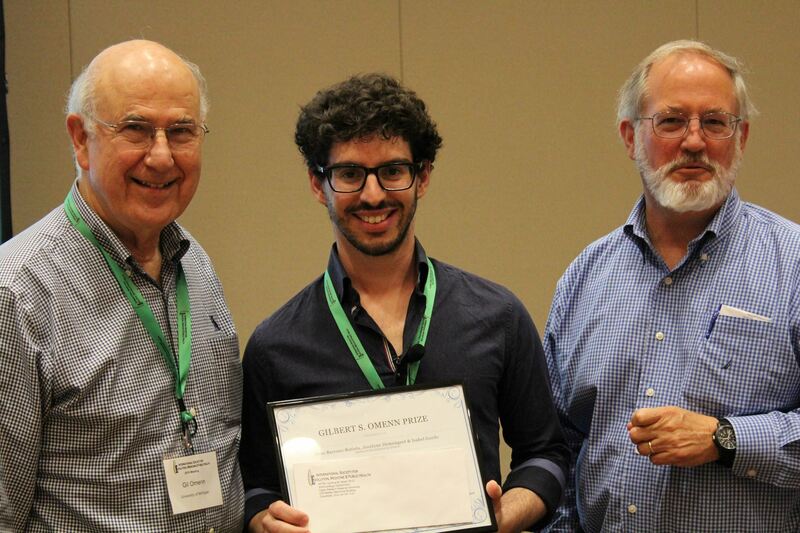 The International Society for Evolution, Medicine & Public Health inaugural meeting brought together scientists, scholars, teachers, clinicians, and students in the evolution and medicine community to share ideas and create new connections that will advance the field. This was the first large open meeting designed to bridge the many different disciplines (e.g. infectious disease, parasitology, primatology, public health, genetics, anthropology, psychology, etc.) where relevant research takes place. This meeting was co-sponsored by The Society and the Arizona State University Center for Evolution & Medicine. Check the program details and abstracts from the meeting. The meeting hosted a keynote speaker, 6 featured speakers, 73 oral presentation and over 65 posters. Rap artist Baba Brinkman debuted his album Rap Guide to (Evolutionary) Medicine, which was co-sponsored by ISEMPH and the Center for Evolution & Medicine at Arizona State University. 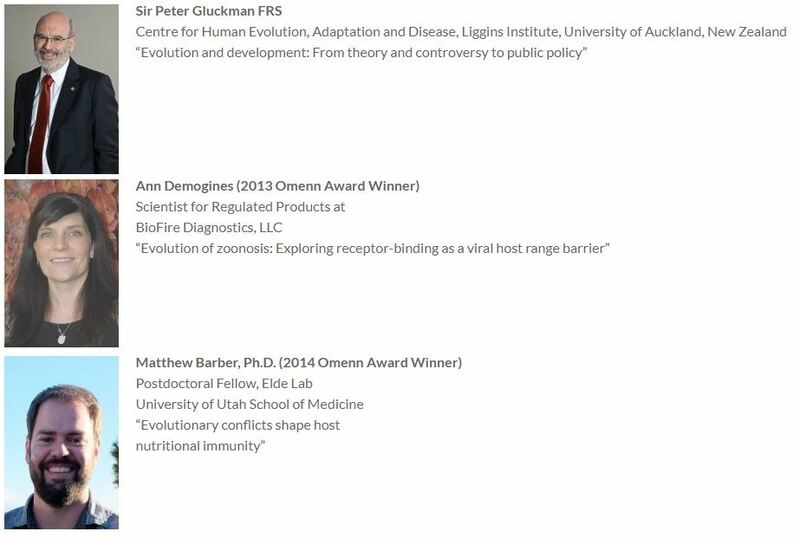 The Center for Evolutionary Medicine (CEM) at Arizona State University has combined resources with the International Society for Evolution, Medicine, and Public Health (ISEMPH), San Francisco’s Perlstein Lab, and the Society for Applied Microbiology (SfAM) in the UK, to sponsor the creation of a unique art/science collaboration. 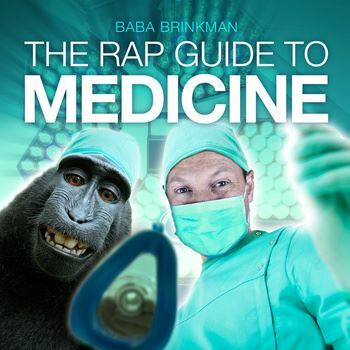 The result is The Rap Guide to Medicine by award winning rap artist Baba Brinkman, a collection of songs that explore themes of health and disease from an evolutionary perspective – both a hip-hop gem and a great teaching resource. The Rap Guide to Medicine takes a hard-edged look at the roots of illness, tracing many of the body’s vulnerabilities back to its evolutionary history. As the opening track declares: “Disease itself is not the adaptation, but you need adaptations to explain why we get sick.” The album features clever parasites, rebellious cancer cells, diseases of modernity, the evolution of aging, and a sufferer of cystic fibrosis who uses the “gene’s eye view” to come to terms with his illness. Baba Brinkman’s premiere performance at the 2015 ISEMPH Conference in Tempe, AZ received a complete standing ovation from a room full of 300 scientists. Baba Brinkman is a Canadian rap artist, writer, and former tree­‐planter who has personally planted more than one million trees. He is also a scholar, with a Masters in Medieval and Renaissance English Literature. To date Baba has written or co-written five hip hop plays, all of which have toured the world and enjoyed successful runs at the Edinburgh Fringe Festival and off Broadway in NewYork. His newest play,The Rap Guide to Religion, is currently running at the SoHo Playhouse and was recently nominated for a “2015 Drama Desk Award.” He has also released ten original rap albums on his independent label Lit Fuse Records, including the most recent, The Rap Guide to Wilderness, which explores the contributions of wild nature to human happiness. Baba’s show, The Rap Guide to Evolution, won the prestigious Scotsman Fringe Award in Edinburgh, where Brinkman performed for six full seasons. The show was also nominated for a “Drama Desk Award” in New York, in addition to a sold-out week at the Sydney Opera House. Brinkman has made appearances at multiple TED conferences, opened for Stephen Hawking at the Seattle Science Festival, performed for a sold-out crowd of 3,500 at the Hammersmith Apollo in London, and was a guest performer on MSNBC’s The Rachel Maddow Show. Brinkman is also a pioneer in the genre of “lit-hop” or literary hip-hop, known for his adaptations of the Canterbury Tales, Beowulf, and Gilgamesh. He is a recent recipient of the National Center for Science Education’s “Friend of Darwin Award” for his efforts to improve the public understanding of evolutionary biology. When he is not on tour, Brinkman resides in New York City. “Adaptive immunity increases the pace and predictability of evolutionary chance in commensal gut bacteria” by Joao Barroso-Batista, Jocelyne Demengeot and Isabel Gordo from the Instituto Gulbenkian de Ciencia, Portugal.